At the twelfth anniversary after his death, the World Baseball Softball Federation Executive Vice President as well as Baseball Federation of Asia (BFA) President Tom Peng, accompanied by BFA Secretary General Lin Hua-Wei and BFA Executive Director Richard Lin, joined baseball leaders of Japan for a memorial service held in Tokyo on May 26. 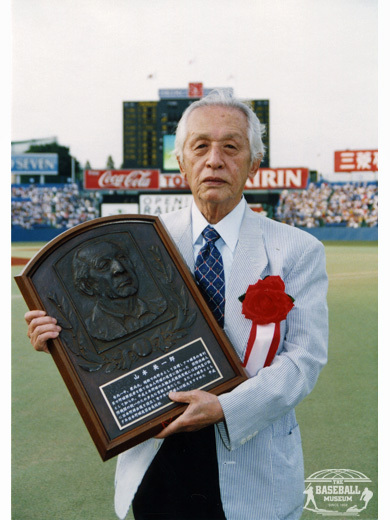 YAMAMOTO (1919 – May 26, 2006), fondly known as Yammy, is recognized as one of the key figures to develop baseball globally since 1950’s with passion, foresight and hard work. He is a rare person who has been enshrined in the Baseball Hall of Fame in 3 countries, Japan, Cuba and Nicaragua. His baseball carrier started at a junior high school at National Championship at Koshien in 1933 followed by Keio University of Tokyo Big6 League and Japanese Industrial League. After 3 years’ of military service as a naval officer during WWII, he resumed his baseball life as an umpire of Tokyo Big6 League and Japanese Industrial League. On the basis of these experiences inside the ball park, Yamamoto’s administrative ability came into his own as President of Japan Baseball Federation in 1975, Vice President of BFA in 1981, 3rd Vice President of International Baseball Federation in 1989 and Chairman of BFA in 1995. He was instrumental to have baseball recognized as Olympic Sport in 1992 after strenuous efforts dating back to early 1970’s when he was first Vice President of then International Baseball Association. He was a strong advocate of women’s baseball and encouraged use of rubber baseball for safety and economy. Prior to 1980s, international baseball championship had been played mainly in the Americas, not in the other Continents. Yamamoto helped to form an alliance of Asian countries which was cemented by Yukichi MAEDA with the help of BFA. In his later years, YAMAMOTO’s passion focused on Latin America, particularly Cuba by overcoming tense political environment. Another aspect of international development of baseball involved rubber baseball which led to establishment of the Japan KWB Baseball Federation by President Tsutomu SHIDA, a business leader and a close friend of YAMAMOTO. U12 and U15 Asian Championship use BFA approved rubber ball instead of regular hard ball. With the same size and weight as hard ball, its impact is about 1/3 of hard ball making it much safer to play for junior players of growing stage, especially during transitional period from playing rubber ball to hard ball. Another advantage includes economy as the rubber ball is more durable and can be used in wet or rainy conditions. 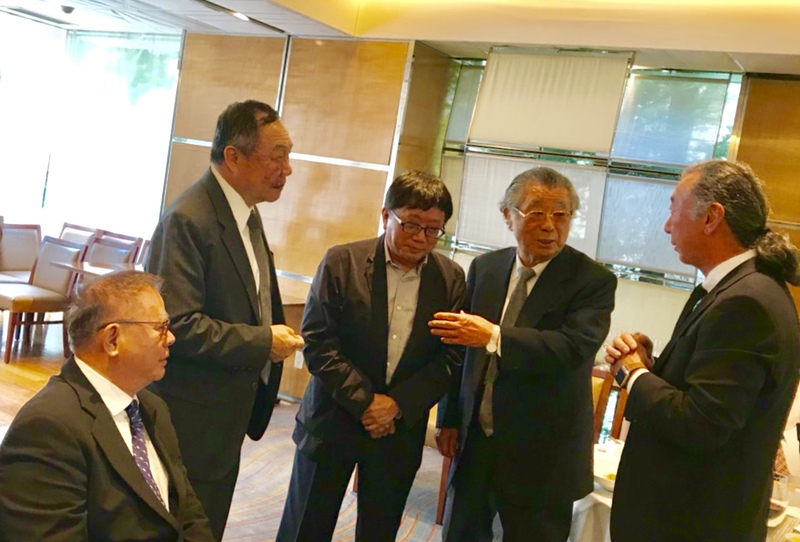 President Tsutomu Shida (83) of Japan KWB Baseball Federation says that this international competition provides opportunity of developing KWB Baseball globally by giving children confidence, reducing their anxiety and allowing them to fully focus and involve themselves in the game. President SHIDA also compliments BFA President Tom PENG for his continued support and foresight.